Real estate is a great way to earn passive income and build some long term wealth. However, you have to be smart, and you have to do it right. Mistakes are expensive. If you want to be a successful real estate investor in Miami, follow these four tips. It’s important to be educated and knowledgeable about the market you’re investing in, the financial situation you’re working with, and the type of property that’s going to attract the best tenants. Investigate the current supply of rental homes and the rent prices they are commanding. Get to know what tenants want, and figure out whether an investment is going to make sense for your bottom line. You don’t need an MBA to be a successful investor, but you do need to have a business mindset. Be prepared to run the numbers, make projections, and accept a little bit of risk. You’ll have to be good at developing relationships with people. Know how to ask for help and surround yourself with experts. Make all your decisions based on facts and data, not emotions. Value your time as much as you value your money. You can always make money; it’s a lot harder to find more time. You need to have the right property manager in place before you even buy an investment home. 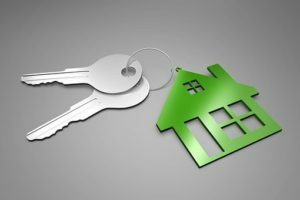 Do your research and choose a property manager with a great reputation and a record of successfully managing rental properties. Add other professionals to your network, including an insurance expert, a financial professional, and a mortgage broker. Surround yourself with smart, experienced people when you want to succeed. Be prepared to identify great opportunities, and be willing to move fast. The key to success is growing your portfolio, so stay on top of current real estate and local market trends. The market moves quickly; make sure you’re ready to move, too. Take advantage of all the opportunities that are available, including programs like 1031 exchanges. Get comfortable in the industry quickly, and let people know what you’re looking for so you can get information on the best deals. 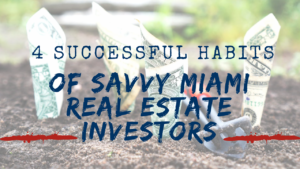 If you have any questions about how to be a better Miami real estate investor, please contact us at Real Property Management Dade.